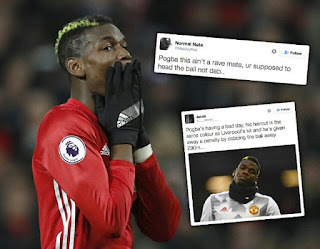 Paul Pogba who was not only the worst Rated player in the Manchester United 1-1 Draw with Liverpool, but the one every one is talking about till now, stating from Twitter to Pundits and every where Sports News is Displayed. Paul Pogba moved in from Juventus with a signing which made him the most expensive player which till today could still be said to play below his potential. 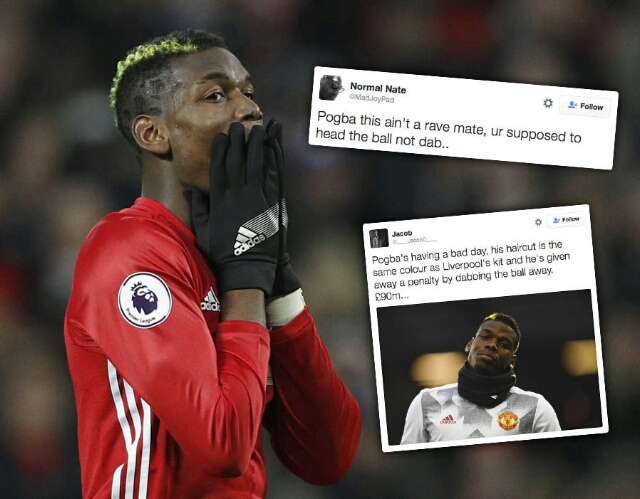 Missing a great opportunity and giving away a penalty with what looks like a dap, triggered reactions everywhere even a #-tag on Twitter. 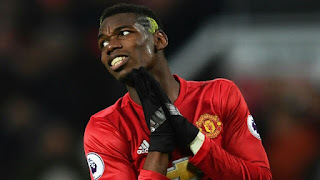 On Sport websites and Blogs it's another story, Paul Pogba falls in Goals worst team of the Week, and close to four headlines to his name in just 18 hours since the final whistle was blown, while on ESPN more is been headlined. His obvious mistake almost cause United a loss though a draw does not benefit either of the team's in their League focus but manageable than draw and if he had found the net, his goal would have been the difference. 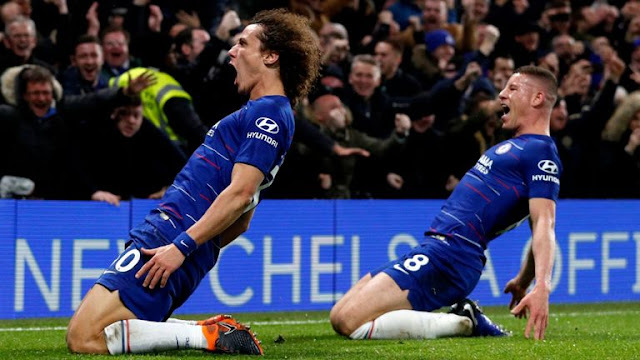 Every Body has Bad days, Marouane Fellaini had his against Everton which resulted in the same results for United and the whole media went on to say many things, almost sending the player out of play, even United fans were against him featuring In games as he was a disaster waiting to happen but today the story is different for my tall friend Fellaini.